Things are definitely moving for me as The British Berliner. Not only did I participate in a [VIDEO] interview that I contributed to as a representative of the Berlin Travel Massive Blogger Community at the ITB Berlin last month, but I was again approached by a respectable Berlin on-line newspaper to do a video interview about my views on the upcoming British national elections! I’ll let you know when it’s done! As far as travelling is concerned, at the end of the week I will be on a very, very, very short break to Spain. Unfortunately, it won’t be a long break of sunny bathing and tequila drinking as I still have to hand in and complete my Masters’ Dissertation at the University of Chester. In England. 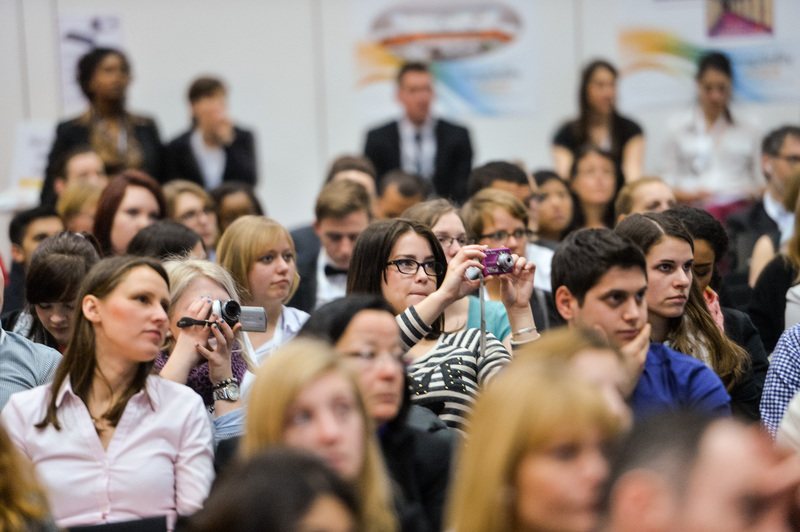 Bloggers at the ITB in Berlin. I’ll be going to the Travel Bloggers Exchange Conference otherwise known as TBEX to do a little networking, learn something new and meet other international bloggers. I’ll tell you all about it in May, after I’ve walked all over town and I’ve gorged myself on tapas. For now though let’s get back to where I was just a few weeks ago in the Baltic Region. So I’ve written about our adventure in Lithuania and the very excellent but enormously cheap food that we had in Vilnius. 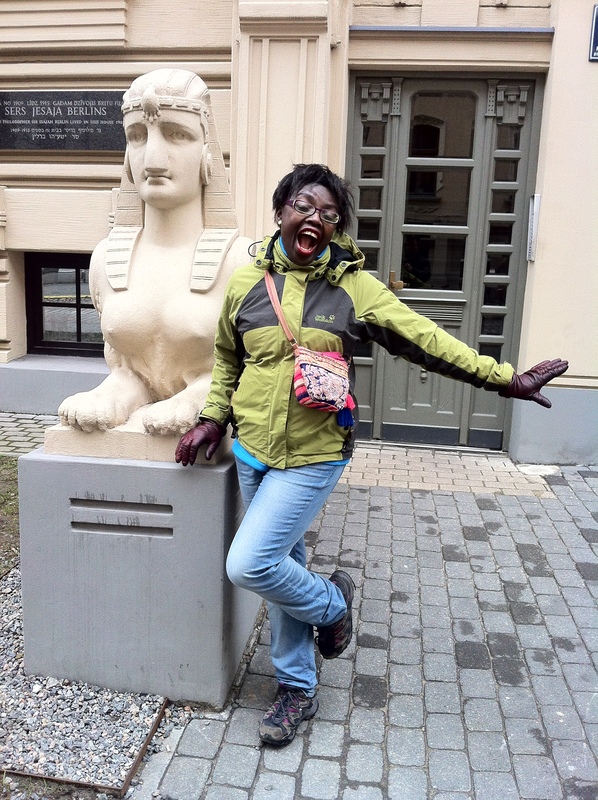 Get ready for the other country in oh-my-gosh-is-it-or-isn’t-it-in-Eastern-Europe…. The Baltic States might be small in landmass but the countries are considered to be old European in look, rich culture, enchanting history, and long-established tradition. In fact, quite enchanting! Latvia, also known as the pearl of the Baltic States and officially as the Republic of Latvia, is situated in the Baltic Region of Northern Europe – on the shores of the Baltic Sea. I absolutely love the Baltic Sea and make every effort to go there every two years but from the Polish side rather than the German one! Harmony of the countryside in Latvia. Latvia is a multi-cultured state and right in the middle of Lithuania, Belarus, Estonia and Russia! As the Lithuanians, the Latvians are Balts by ethnic and linguistic origin and although separate independent countries, have closely related languages. The Latvians also have indigenous people called Livs and the two neighbouring countries both speak an Indo-European language and are the only two true Baltic languages that have survived! Happily, all the traditions have merged together creating a unique environment, a vast cultural historical heritage.and a country-state of about 2 million people. Latvia, is also a country not well-known and even within the E.U. itself, many Europeans have a hard time remembering what the capital city is. It’s Riga by the way! 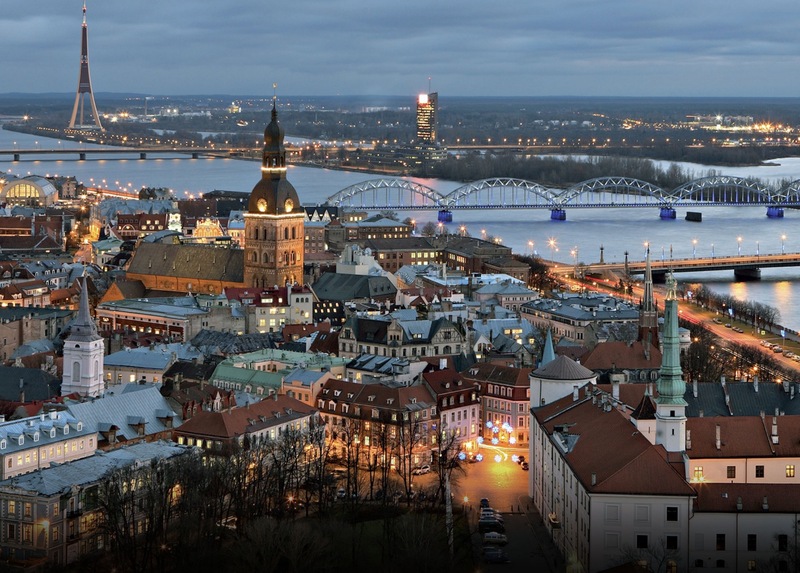 Riga is the capital city of Latvia and also the largest city in the Baltic State Region. 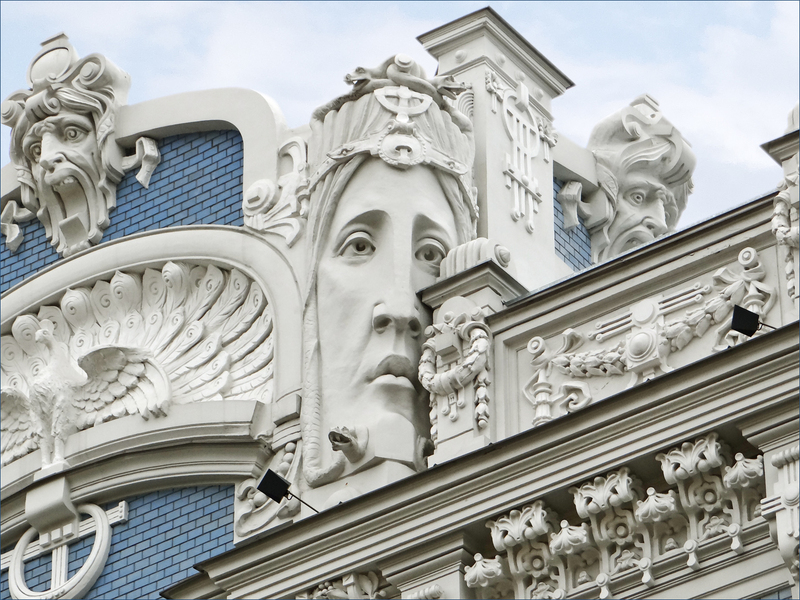 You might not have ever heard of Latvia, but surely you’ve seen those pictures of elegant men and woman strolling arm in arm on the tiny streets of Riga nourished by Russian glamour and elegant Art Nouveau boulevards! It’s Me! Don’t I look fabulous? Riga is a metropolis pulsing with life, romantic walks and live music and celebration. It’s a medieval city that has been preserved and still shows traces of its religious and Romanesque past and has been proudly inscribed on the UNESCO World Heritage List for the wonder that is it’s unique architecture in the “old town” and also as one of the European Capitals of Culture designed to highlight the richness and diversity of cultures in Europe and increase the sense of belonging to our common cultural area that is the European Union. And this took place in all of 2014! So let’s get down to brass tacks. 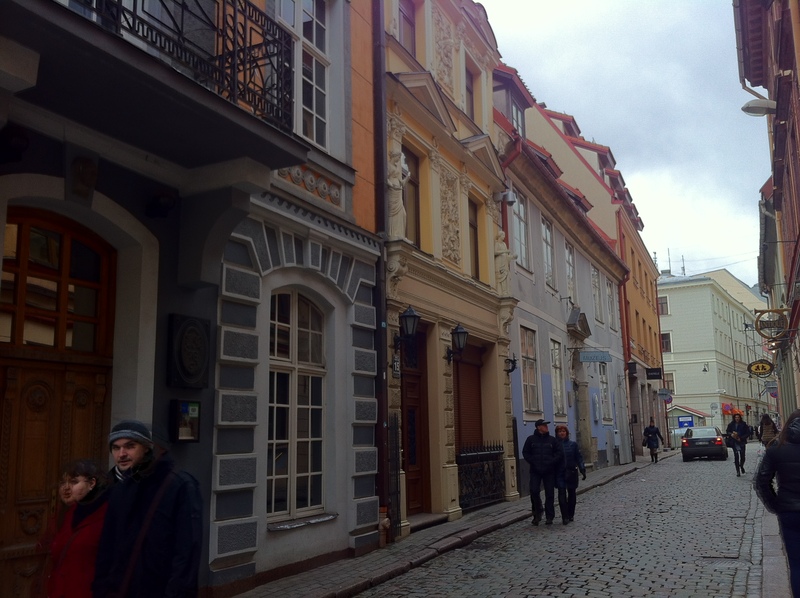 Riga in Latvia is gorgeous. I’m going to give you ten (10) reasons to go there right now! The architecture is amazing: Everywhere you look is an impressive piece of art from each and every era. Whether you like art nouveau, romanesque, gothic or baroque architectural style, if you wanted it, you would find it within a few paces. The only city that I can think of that would be similar is London. Do you know that if you looked hard enough, you would even find parts of the old Roman London Wall! It’s in the “other” Eastern Europe: It’s still pretty unknown, very far “East” and not on either the backpackers or tourist run, so it’s pretty cheap and is never going to break the bank. It’s a Baltic hub: If you’re looking to go to the Baltic States then of course, you have to either go through Latvia, start in Latvia, or end in Latvia. It’s quite easy to get to as pretty much every airline in the Nordic-Baltic region does a stop-over in Riga, so you might as well give it up and stay a while! OMG the food: We ate terribly well and ate and drank to our hearts’ content. It’s that cheap, you should! Unlike Lithuania where we pretty much ate only rustic food, Latvia has a combination of both elegant and of a better class. More about that next week! It’s small: Although Riga is the largest city in the Baltic State Region, it’s population is only a little over 600,000 inhabitants. I mean, the whole country is only about 2 million people! It’s small size means that it’s easy to meet people and to move around. Sausages: It seems to be a thing in Riga, so we had loads LOL! Communication: Most people speak English and have an endearing accent mix of American English, Swedish and Dutch. Oh, and they also have a warm sense of humour! The farmers’ market: An intriguing place where you could get the head of a pig, live fish swimming on the bare table, exotic vegetables, and tiny little cupcakes that didn’t cost more than 30 cents! More about that next week! 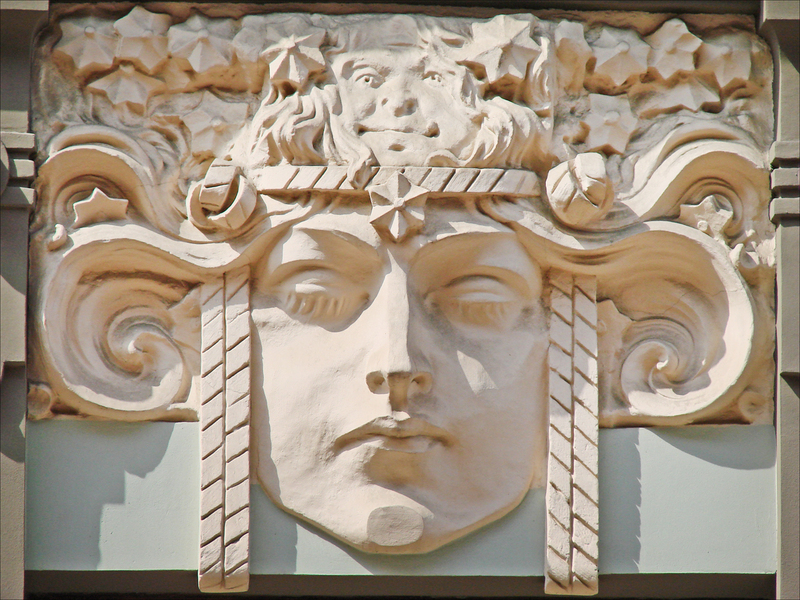 Because Art: The best place in the world to find living pieces of Art Nouveau is indeed in Riga! As you know, we were so lucky to be on a part-sponsorship of the largest international express route coach-bus operator in the Baltic region. An Estonian company called Lux Express, taking us through the Baltic Region by road from Germany, all the way through to Estonia, and back again! In travelling from Berlin to Lithuania, we were on the cheaper arm of the coach-bus company called Simple Express but once we got to Latvia, we were switched to the more aptly-named Lux Express. It was certainly different from any other coach bus company that I have either travelled with. And I’ve travelled with a lot LOL! The seats were wider and bigger, there was a toilet on board and because there were fewer people, was fairly clean! At the back of the bus was the even more luxurious V.I.P section. I had originally wanted to book that part of the coach-bus but it wasn’t to be as the reality is that most travellers would be at the front LOL! I nevertheless, had a peek. The V.I.P. section was curtained off for privacy just like a plane and there were one person seats rather than two. Each seat also had a small flat screen. Even so, whichever part of the coach-bus you sat in was pretty awesome. We practically had the place to ourselves and could recline back quite well, there were night lights on the floor, individual screens on the seat with which you could watch films, comedy or TV series, listen to music, play games or go on-line. And this time the WiFi was fantastic, so if you had a smaller laptop rather than the huge one that I have, you could do as much work as you wanted! The headphones were complimentary and there was also as much complimentary tea, coffee and hot chocolate as you liked. You just helped yourself as there was a huge drinks machine in the middle of the vehicle. And we did. The journey from Vilnius to Riga was only 4 hours and 15 minutes, so I watched part of “The Chronicles of Narnia” and a silly little film called “The Watch” although the improvisation performed by Ben Stiller and Jonah Hill was brilliant! Just me and my er…goat! Well, a little, but only because Riga is tiny. It was low season, the weather was wet and windy, and we all swarmed to the same place in order to have something to do however, the bars and restaurants had plenty of space. In fact, you only had to stand outside for a second when at least five (5) or six (6) various staff members would rush out to “help” you choose where to go! We were only there for three (3) days but Riga definitely made an impression on me. Riga is an Old Europe type of place very eager to welcome tourists and entertain you as every corner had some sort of bar, pub, or steak house! Having said that, they’re very easy to avoid if you’re not into that stream of entertainment, as every other place is of historical interest, art-inspired or a lovely cafe or restaurant. In fact Riga is stuffed with museums, art galleries, historical squares and places of worship! It has really surprised me that in every Baltic State English is widely spoken however, if you speak Russian, you won’t be out-of-place. Having said that, a rather wonderful American-Russian blogger friend of mine was rather alarmingly, pretty much insulted, so watch out for that! If things get too bad, you won’t be able to live here ‘cos it’s peasant history! I don’t think so. It might be a country from “the other” Eastern Europe but you’re definitely not going to be living in a cave! I can’t give you any details but catering to the more budget conscious traveller is still fairly new and we even saw the very first Latvian hostel ever, and other moderately priced accommodation. We stayed at a rather lovely four-star boutique hotel in the heart of the old town of Riga which I first saw on the website of a personal fitness trainer/sailor called Victor. Our hotel was called Hotel Justus. Hotel Justus laid right within the architectural UNESCO protected area, was a Bishop’s residence in 1210, was part of a tavern in the 20th century and had just 48 rooms designed to embrace the architectural charm and historical delight of Riga. We were in the Family Suite which had two separate bedrooms and a joint bathroom. It was nice to have the luxury of separate but joint bedrooms especially when you’re travelling and knick-knack is just thrown everywhere! It was lovely just to have the space LOL! 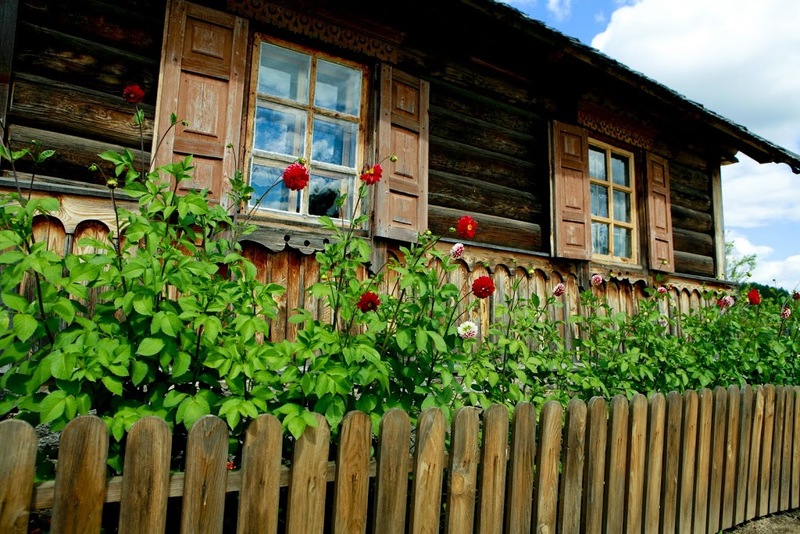 In Lithuania, I decided to book a small family Bed & Breakfast consisting of just seven (7) rooms, and located between the Old Town and a park. This B&B was called Vilnius Home Bed and Breakfast and we were in the Family Room. This time around, it was time for a little more comfort. 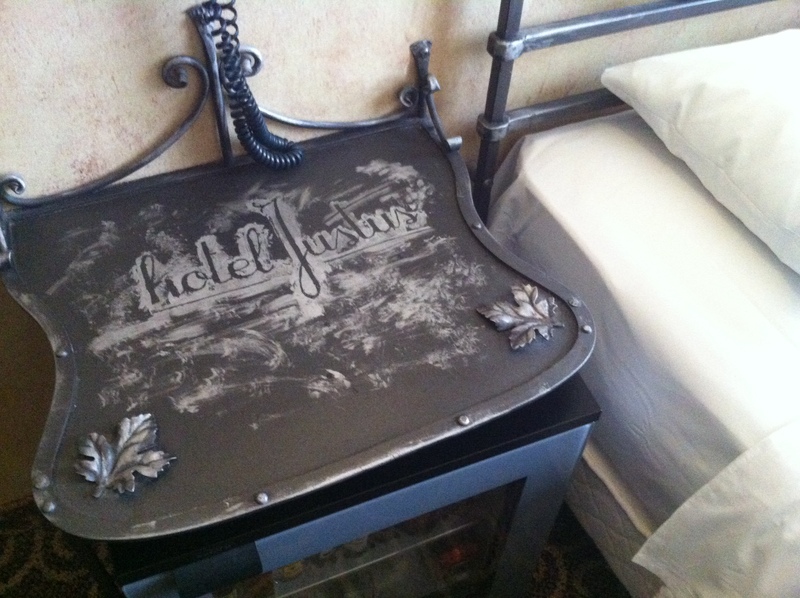 Our stay at Hotel Justus was an indulgence. 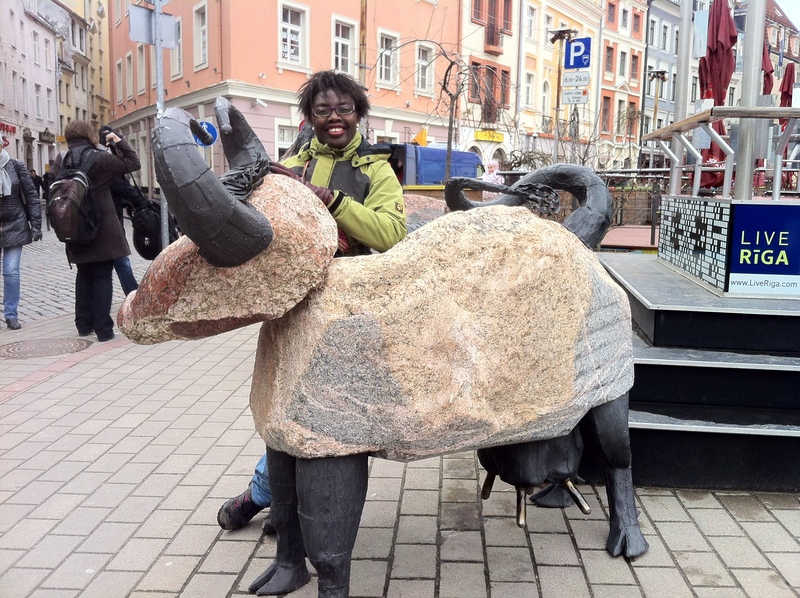 I didn’t know what to expect in Latvia and was surprised at what we received. Our Family Suite consisted of two separate bedrooms, a hallway, and an en-suite bathroom. The Master Bedroom had a double bed, two (2) rather nice fancy armchairs, a writing-table, a large antique wardrobe, a mini-bar and a large-screen TV and AC unit. The second (2nd) bedroom had a chaise longue that could be converted into a single bed, a writing desk and chair, a large antique wardrobe, a large-screen TV and an AC unit. “The Tall Young Gentleman” was in his own private little world, loved it and was pretty ecstatic! We had an en-suite bathroom that was very clean and fitted out with hair and body wash items body lotion, and plenty of fluffy towels as well as free WiFi and a generous buffet breakfast of both Baltic and Nordic origin. 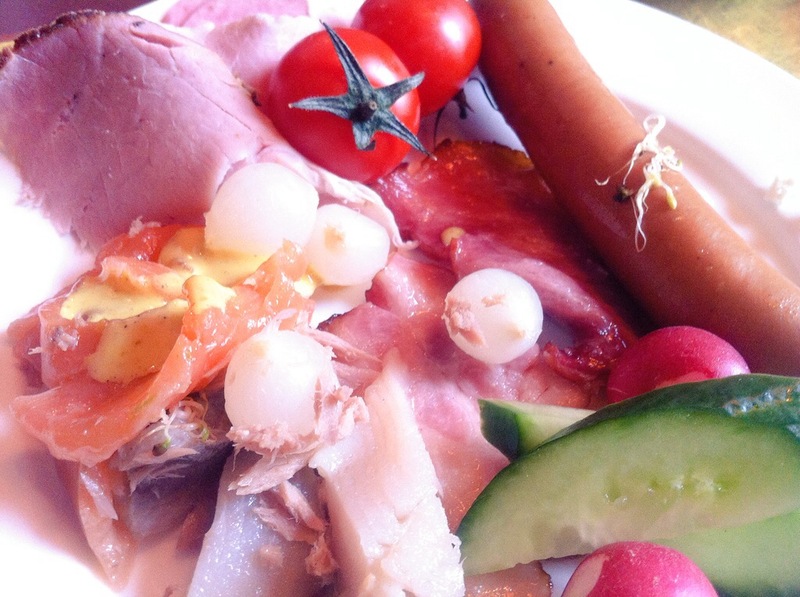 For breakfast, we had delicious cold cuts, a variety of sea-food, vegetables, sauces, pickles and cream, scrambled egg, sausages and bacon. As well as a wide variety of cereal, fruit, bread, cake, pastries, tea, coffee and juices. All this from €140.00 per night in the Family Suite which for three (3) people would be €47.00 a pop! WHAT SHOULD I DO WHEN I GET TO LATVIA? Go on a free walking tour. We went on Yellow Riga Free Tour. 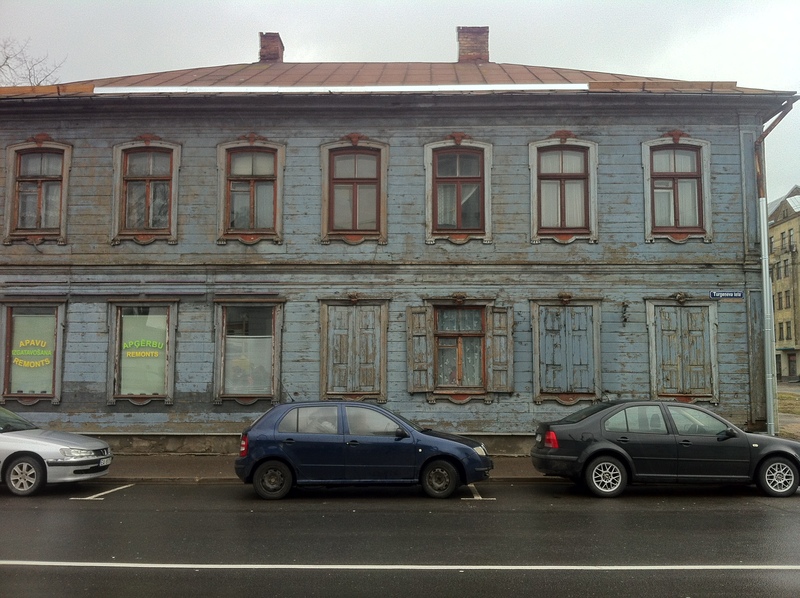 Explore the urban history and architecture of Riga. Take photographs of the Riga Castle. Walk by the riverside and imagine living in the historic seat of power. It’s closed until 2016 but after that you’ll be able to take as many panoramic pictures as you want. 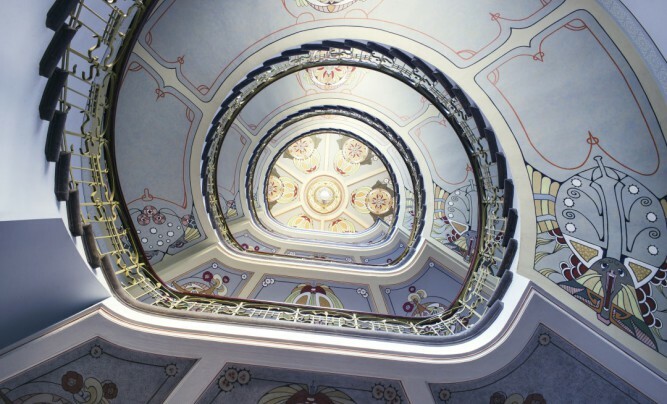 Go to the lovely Museum Riga Art Nouveau Museum and Centre. Glide into the National Opera. Wander around the Freedom Monument. Stroll freely through the side streets. 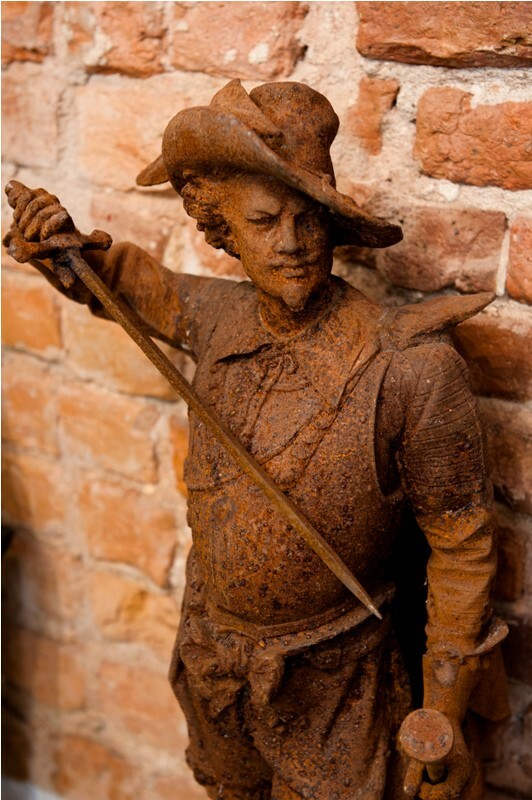 Go to the oldest public museum in Latvia – the Museum of the History of Riga and Navigation. Visit the Latvian National Museum of Art. Take in all of the Art Nouveau. Go people-watching inside the Zeppellin hangars of the Latvian Central Market. Check out the various cafes, bars and restaurants for a quick bite and a few rounds of Latvian beer and vodka! Riga is pretty small so that everywhere is walkable. Taxis are cheap. A taxi from our hotel to the international coach-bus station cost a marvellous €5.00! Full of joy & relief! If you’re flying with a budget airline, be prepared for delays. My husband was only on the trip for a week and would rather eat his own hat than travel back to Berlin by road. He decided to fly back to Berlin with airBaltic! His plane had left Riga and then due to technical difficulties had to turn around and fly right back again! Bearing in mind the horrible accident that took place a few weeks prior, I was obviously a little nervous and for the first time in my life – anxious and was all over Facebook and Twitter trying to get the latest flight updates. Thankfully, all went well and he arrived home safe and sound. It’s lovely. It’s old. It’s got history, Art and culture, and looks absolutely gorgeous. It’s not as cheap as Lithuania, but is certainly reasonably priced. If you’re looking for the next best European city that’s safe, quiet, and away from the tourist throngs, you’ve found it. I intend to do just that and can’t wait to visit again. For more information about coach-bus travel to Riga, please contact: Lux Express. 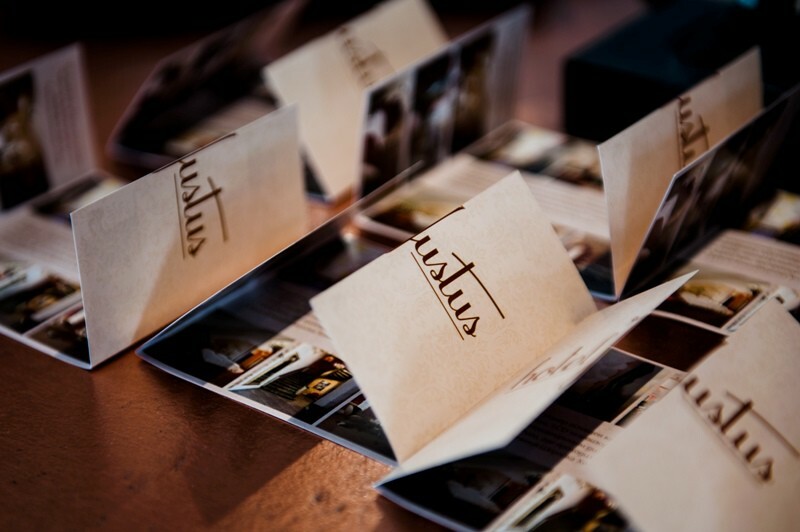 For more information about a four-star boutique hotel, please contact: Hotel Justus. 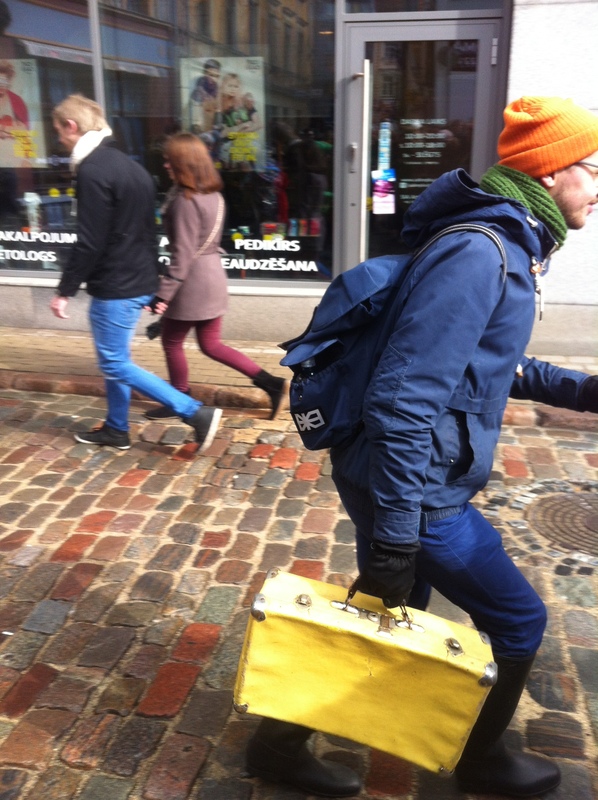 For more information about an independent free walking tour, please contact: Yellow Riga Free Tour. This article is part-sponsored by Lux Express and we get a little discount on the hotel, but all opinions and the wonderful art-deco architecture that I was fascinated by, are my very own! Next week, I’ll be writing about the wonderful Latvian food and drink. Yummy! After that, there will be posts on what we did in Tallinn, Estonia with the help of the Tallinn Card, what the view was like on the ferry crossing from Estonia to Finland with TALLINK SLJA LINE and what we thought about Helsinki in Finland! 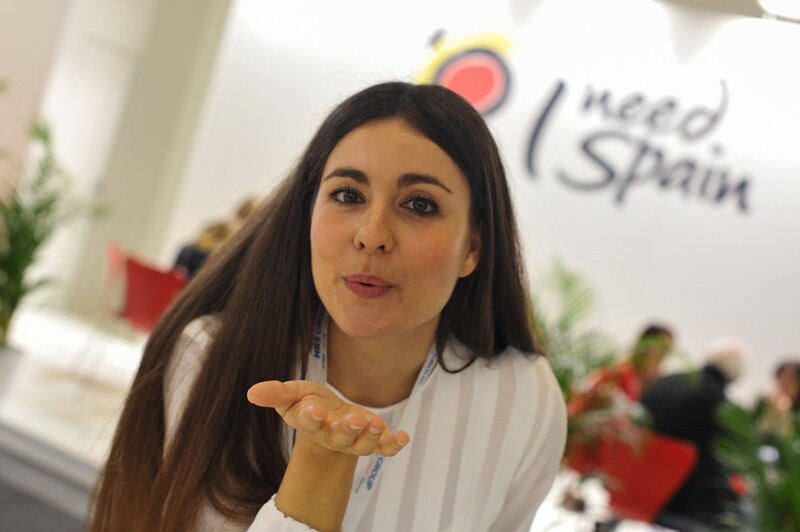 If you’re not in Berlin right now, then come meet me in Spain! April is going to be bright and sunny. Have you ever been to Latvia? 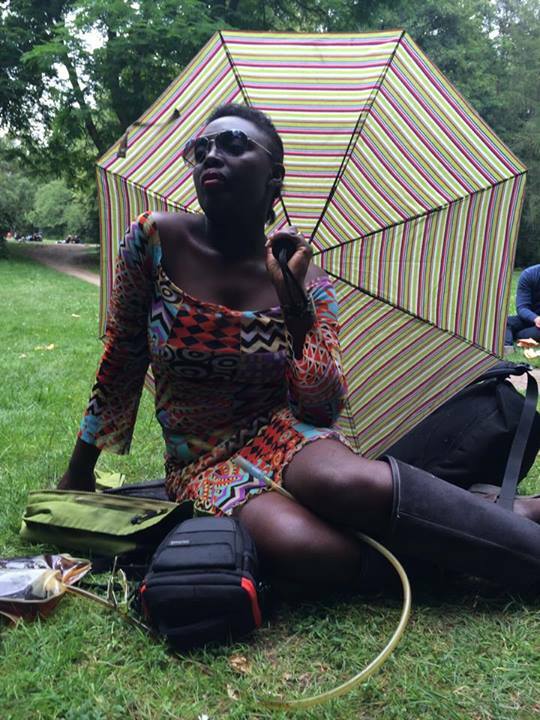 Do you think Riga is gorgeous or all hype? Is Latvia in Eastern Europe?